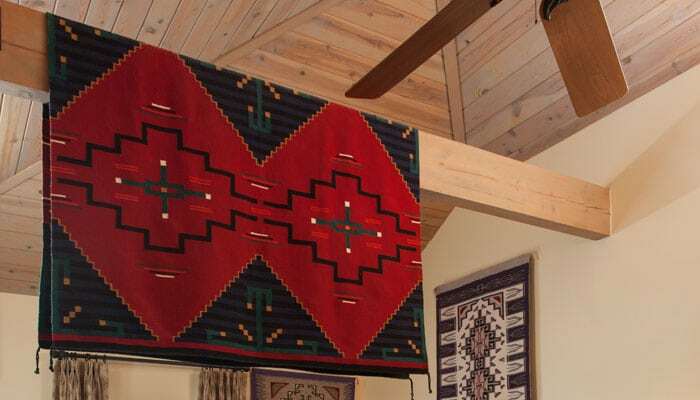 This room features true Santa Fe décor. 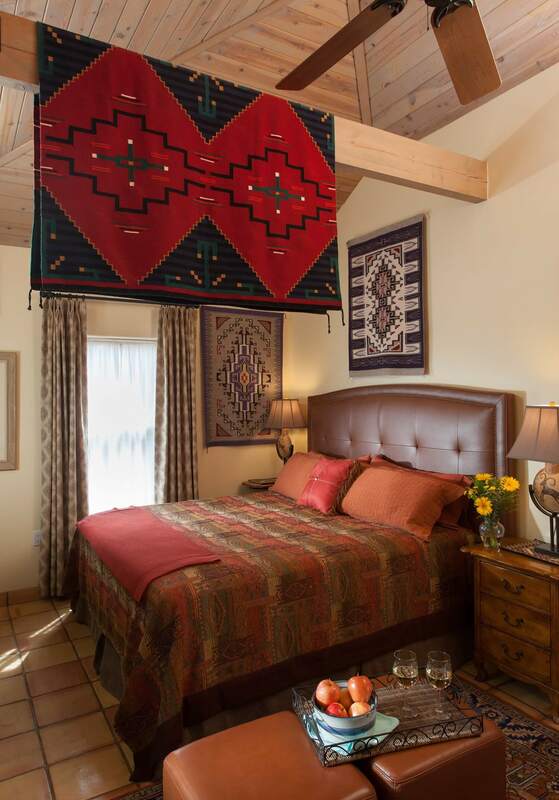 Featuring vaulted ceilings, saltillo tile floors, and Native American artifacts, the Kachina room is awash in authentic Southwestern charm. 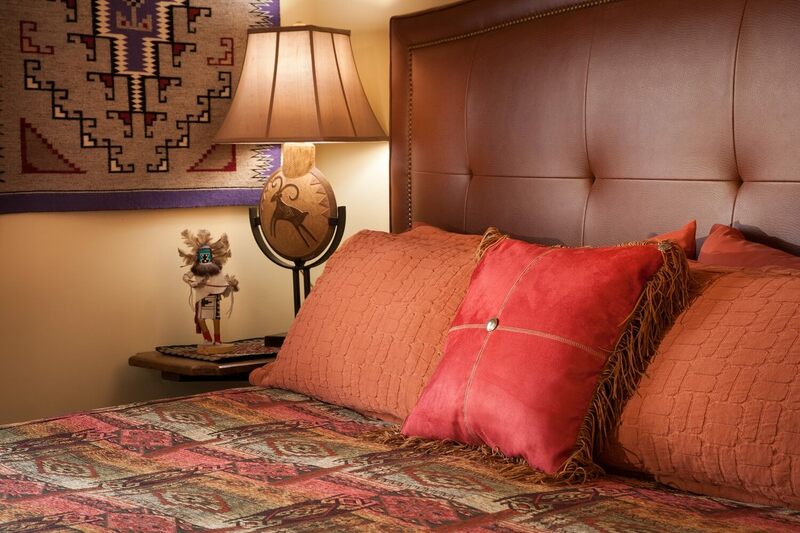 This spacious, light-filled suite, has a king bed, as well as a twin-size sofa sleeper. 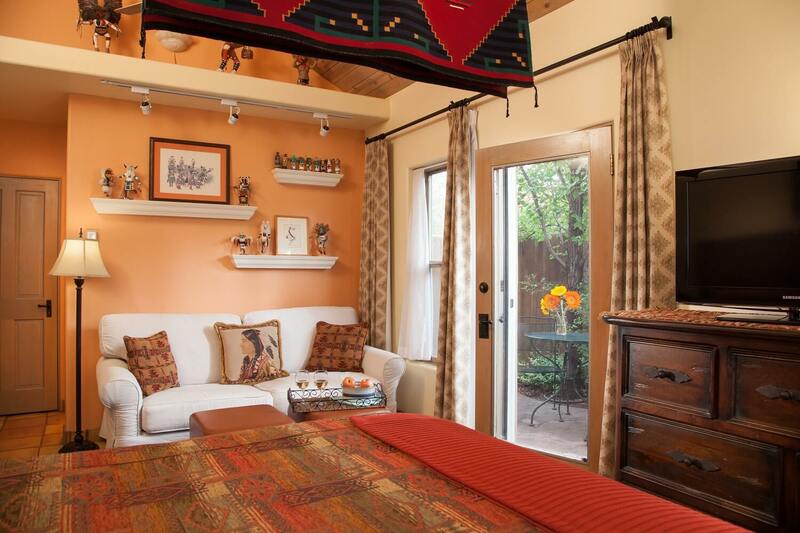 Your own garden patio and private entrance make it the perfect refuge for any traveler.